Historically, most of world’s largest insurance claims usually relate to epidemics and natural disasters. In regards to epidemics, the SARS outbreak in the year 2003 resulted into the largest payout of all insurance claims. 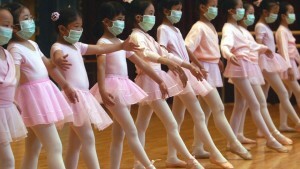 The SARS epidemic started in Guangdong province of China but it spread to over 37 other countries in a matter of a few weeks. Once again, the pay outs for the loss of lives were supplemented basically by travel cancellations and business interruptions which led to the total claims costs reaching $1 billion. 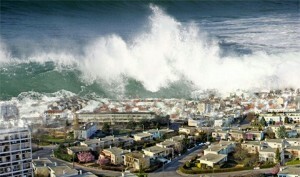 Prior to events that occurred in Japan in the year 2011, the earthquake and the subsequent tsunami (in the year 2004) which affected many of the countries in the Indian Ocean regions, was one of the largest natural disasters when it comes to insurance claims. The areas that were hit and the loss of lives resulted in a set of insurance claims which some people suggest may have exceeded $1 billion. In the year 2010, Iceland’s most costly volcanic eruption happened. In the spring of that same year, “Eyjafjallajokull” erupted and luckily, no one was injured, however, it still cost EU over €2.5 billion (that is over $3.4 billion), according to EU Transport Commission. This volcanic eruption released massive ash clouds which drifted south towards the Atlantic and Europe causing hundreds of flights to get cancelled and rendering over ten million passengers in different places, stranded for a couple of weeks. Considering the cash due in the compensation claims from landlocked travelers, and also the revenue that was lost by the airlines and hotel industry as a result of the volcanic eruption, about €2.5 billion got paid out as result of Eyjafjallajokull volcanic eruption. This volcanic eruption also caused domino effects on EU’s economy: It created a no fly zone over significantly much of Europe, which impacted many international airlines based in Asia and the US. Global prices of airline fuels also dropped as a result of flights getting grounded, a factor that’s not included in EU’s estimate.